Many books have been written about China by Europeans. The present volume is a book about China by two Chinese. They are moreover, Chinese who have had considerable opportunities of studying other forms of civilization than their own, having lived in England as students for some Years. The point of view is not always that of the English reader, but, that view of Europeans who write on China is not that of Chinese, and for that full understanding of a great Empire, politically and commercially, is becoming year by year a matter of greater importance to the West, the Chinese point of view is therefore, essential. The book falls into two parts. Mr. Leong describes village life, the family, the clan and the village society. 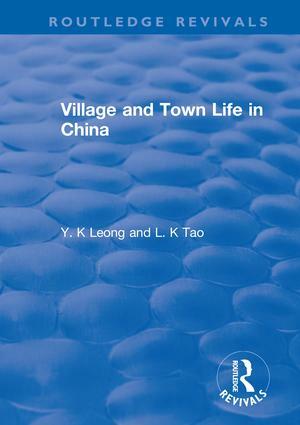 Mr. Tai deals more particularly with town administration and social life, with the popular side of Chinese Buddhism.